Leveraging influence techniques informed by behavioral science. Rather than using these techniques to change long-standing beliefs, actors target audiences with the goals of amplifying existing resentments and anxieties; sowing distrust in others; influencing political decisions; and deepening divisions. Further ethical guidelines for political advertising should be developed, with independent committees representing diverse community stakeholders. 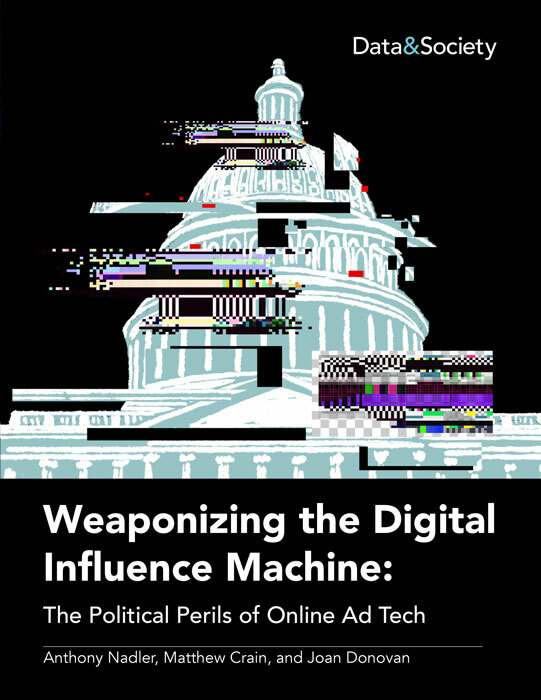 This report comes from the Media Manipulation Initiative (MMI) at Data & Society, which works to provide news organizations, civil society, platforms, and policymakers with insights into new forms of media manipulation to ensure a close and informed relationship between technical research and socio-political outcomes.